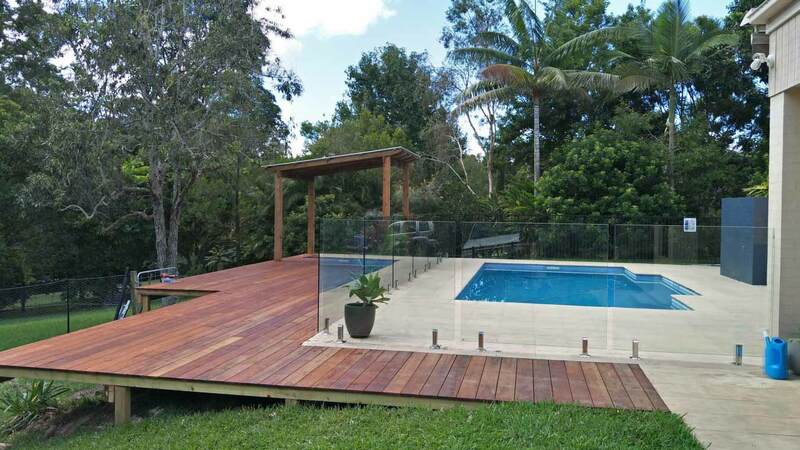 Pool Fencing Sunshine Coast is a QBCC insured contractor that provides pool fences to the Sunshine Coast region. We have a great local portfolio including but also stretching beyond pool fences, with competitive pricing for any project. Call us today for a free quote. Landscaping is a back breaking job. We can give free consultation and design for your outdoor area needs. Concreting is often an affordable alternative, with a large variety of colour and textures available. For this pool at Doonan we have provided a great outlook over the backyard using frameless glass fencing (with square, polished stainless steel spigots)…..